I have great news for you this evening. 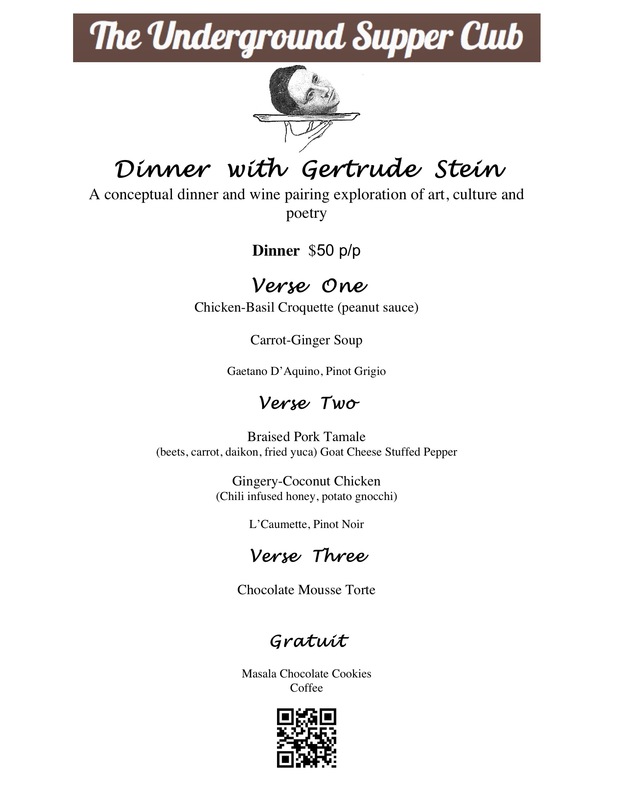 The menu and wine pairing for “Dinner with Gertrude Stein” on Friday, April 20th at Woolpunk Studios has been finalized. The wine and food for this dinner event will take us on a magical journey of bold flavors, cultural entertaining and old world poetry from Italy, France to Germany. We hope you come prepare to explore it all!